A fab collection of child-friendly hotels and resorts all with baby and toddler facilities. From hotel city breaks to luxury beach resorts there is something for every budget for your next family holiday. As with all the holiday properties on Holiday Tots you ultimately book direct with the hotels and resorts making sure you get the best deal possible. Many even give Holiday Tots guests a little extra something, so be sure to mention us when you book! If you’re looking for a luxurious family holiday with pristine white beaches, stunning sea views, beautiful waterfalls and tropical gardens, kids clubs, spa treatments and activities for all the whole family, you might want to take a look at the stunning Shanti Maurice Luxury Resort & Spa in Mauritius. Located at the southern tip of the island it offers a laid-back paradise like no other. This ground floor suite, with large garden terrace is located in a small family run hotel in southern Mallorca offering self-catering facilities, breakfast included and on-site restaurant, only five minutes drive to the local beaches. Hotel Migjorn was rated as one of the best family-friendly hotels in Spain by the Guardian and has TripAdvisor's Certificate of Excellence 2018. Hotel Migjorn is a small family-run hotel in southern Majorca with only ten self-catering apartment suites, fully kitted out for little ones. On-site restaurant, swimming pool and a five-minute drive to the nearest beach. It’s easy to see why the Guardian name it ‘one of the best family-friendly hotels in Spain. A luxury apartment with free kids club and only 2 1/2 miles from sandy beaches. Complimentary baby sitting and kids club too! 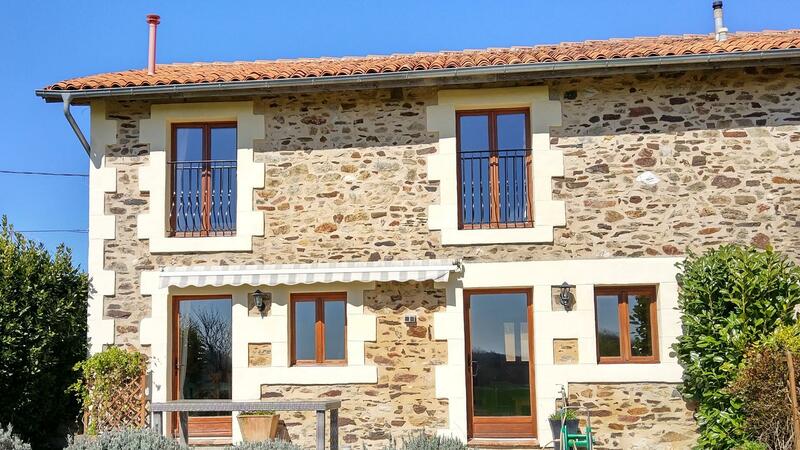 1 of 4 stunning gites in a micro resort offering a luxury holiday with amenities and facilities galore. Relaxing and pampering for all the family. This luxury superior villa is located within 17 acres of private gardens at the prestigious Four Seasons Country Club in the Algarve in Portugal. This child-friendly holiday resort is perfect for families looking for a luxury holiday in Portugal close to the beach. A creche, children’s play area, babysitting, pools, golf course health club etc are all on the complex. There is definitely something for everyone! A beautiful apartment renovated to a high standard in this lovely 19th century chateau in the Languedoc Roussillon region of France. Swimming pools, bistro and bar on site and a family friendly vibe... Chateau les Carrasses is a magical place for a family holiday, toddler friendly apartments and kids clubs during the summer. La Reserve holiday village boasts swimming pools, water slides, kids’ clubs, activities and entertainment all on its own private lake, with water sports and private beach - just one hour’s drive from Bordeaux in the southwest of France.